Ever moreTories in Westminster are becoming deeply confused about the EU. Surely one of the most confused is back-bencher Andrea Leadsom, leading light of the Fresh Start Group of 100 or so Tory MPs. The interestingly named Fresh Start Group brings together equally confused Tory back-benchers, many of whom have for quite a while now been working out what this country should seek from a renegotiation of British EU membership. What would agricultural policy, regional policy, social policy and the rest look like, if the Conservative euro-reformers had their way? What indeed? But the key question here is not what these policies would look like but rather “if the Conservative euro-reformers had their way”.The salient and irrefutable point is that these “euro-reformers” quite simply cannot deliver. Changes to any EU treaty need agreement from all 27 member states. The confused Tory MPs have undeniably worked hard on what used to be called “repatriation of powers”. Sadly for them their labour amounts to nothing more than smoke and mirrors. The British government quite simply does not have control over the EU in the way the confused Tories are claiming. At the risk of peddling sour grapes, I havehad the experience on more occasions than I care to remember of being made cruelly aware of the lack of understanding of the European Union by British elected representatives. The BBC reported that Mrs Leadsom has taken a swipe at Britain’s representatives in Europe, both officials and elected MEPs, for “going native” – and even speaking with a “weird half French, half German accent”. Rather than insulting her colleagues, Mrs Leadsom would do better to get to grips with the EU if she intends to pontificate on UK membership. There were, of course, those in the recent debate in Westminster Hall led by Mrs Leadsom who agreed with my contention that Britain would not get what it wanted. 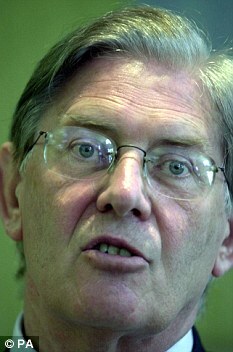 Most of them were, inevitably, arch-Eurosceptics such as veteran Maastricht rebel Bill Cash, who wish to leave the European Union. This line is at least honest, if misguided. The confused Tories who believe EU reform will magically happen because the UK wants it, seem to think the current crisis gives Britain a lot of leverage. Moreover, since the EU needs Britain more than Britain needed the EU, there is plenty of scope for negotiation. In your dreams is all I have to say. There was, however, some useful tactical advice during the Leadsom debate from the Conservative former cabinet minister, Peter Lilley, who suggested Britain should approach rolling back EU powers in the same way as the European Commission approached extending them – with salami tactics. But he also thought the key battle would be to overturn the acquis, the long-standing doctrine that once the EU acquired competence over a policy area, it was never relinquished. If Britain could establish a precedent for clawing back powers, that would enable more powers to be repatriated in future. At least in Peter Lilley there seems to be one less confused Conservative. Yet even he does not address the issue that the 26 other EU member states do not want to overturn the acquis which seem to work well for everyone except the UK unfer the current government. In the event, there were some interesting ideas for reforming the way the Westminster Parliament deals with EU issues – a specialised EU question time and far stronger scrutiny of European directives were two very good proposals. More involvement in EU matters by British MPs and members of the House of Lords is an excellent idea to be welcomed whichever political party introduces it. Balancing the responsibilities of Britain’s membership of the European Union with his feral Eurosceptic backbenchers is proving well-nigh impossible for our pull me – push me Prime Minister. David Cameron is, inevitably, being forced into U turns on Europe. Having flounced out of the EU summit in Brussels as it was agreeing changes to the Lisbon Treaty in December last year, David Cameron seemingly felt the need to shore up his extraordinary behaviour. He accordingly held forth in adamant fashion stating that the UK would resist any attempt to involve the EU institutions in enforcing the amendments to the treaty agreed by 26 of the 27 EU member states in December. Such a hot-headed, indeed stupid, way of operating was bound to come unstuck. It did not take long to unravel. In abandoning his pledge to block the Eurozone from using common EU institutions to police the new regime of fiscal integration agreed by the “EU 26” in December, Cameron has given way to the European Union in a major way. Cameron has also accepted that the European Commission will act as “referee” in deciding whether Eurozone members were breaching the new rules. I predict there will be more situations like this for David Cameron. His feral backbenchers will push him one way while the EU (and possibly Nick Clegg) will pull him in another. The inevitable outcome will be victory for the EU. After all it’s one against 26, long odds indeed. We already know that UK observers are at the tables looking at the changes to the Lisbon Treaty, despite Cameron’s refusal to sign in December. This represents a quiet U-turn which speaks volumes about the way David Cameron is seeking to resolve his EU dilemma. To try and have your cake and eat it is not a sustainable policyin the long run. Ed Miliband admitted that this year has not been the easiest, referring to his relationship with his brother in an enlightening interview in the Weekend Guardian magazine. This might not come as the biggest surprise to any of us –it was inevitable that it would put a strain on the relationship. However, it’s already been six months since he was elected the leader of the party and the interview reveals his relationship with other senior figures, during a trip to Gateshead where he doesn’t put on any airs and graces, and the interviewer says that since the first time he interviewed a much younger, albeit ‘geeky’ Miliband a decade ago he hasn’t changed. Even then the interviewer says ‘he was the warmest and most open of Brown’s inner circle.’ It really is one of the most revealing interviews I have read and really illustrates just how genuine he is and reveals his ability to empathise with his audiences and ‘draw people out.’ You can read the interview in full here. 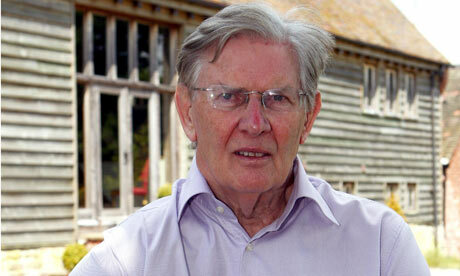 Bill Cash debated the United Kingdom Parliamentary Sovereignty Bill on Friday. He specifically asked the minister for Europe if there might be a repatriation of powers as indicated by the Prime Minister in a speech in 2005 to the Centre for Policy Studies. He was reminded by the minister (Mark Harper) that the Government did not win the election outright and formed a coalition therefore the Party did not get the mandate it sought thus making it more difficult to implement all the programmes it hoped to. The debate got quite fiery at one point when Mr Cash said to the minister: ‘We should not be arguing about this. I find it astonishing that I should have to raise the matter in a debate. For a Minister to question whether my remarks are valid in one respect or another is again astonishing. I rarely would suggest that a Hansard debate is an enthralling read but for those interested in European politics and the role the EU plays domestically, and – it must be said the divisions it causes especially among the Tories – then you can read the second half of the debate here. Pity the British Prime Minister – but only up to a point. In the midst of trying to come back with something he can sell to his Eurosceptic wing on the EU budget, he also embarked on his much vaunted bill to, as he sees it, protect British sovereignty. I am quite honestly mystified at Cameron’s decision to take on Europe on two fronts in this way. Given the Tories’ vulnerability on all things EU, it strikes me as singularly daft. No matter, Cameron is ploughing on with an increasingly sorry looking furrow. Despite promising the public that they would get to vote on any powers to be transferred from the UK to the EU, the proposed bill states that some powers will now be able to go to the EU without a referendum. This I may add comes from the political party who relentlessly criticised Labour for not holding a referendum on the Lisbon Treaty. That most odious of Eurosceptics Bill Cash is, of course, on the case, pointing out that the commitment in the coalition agreement to subject any future transfers of power to the EU to a “referendum lock” has gone well and truly down the plug-hole. In typical hyperbolic fashion Cash has stated, “This bill is of historic significance and is the most important constitutional bill affecting the relationship between the UK parliament and the EU since the European Communities Act 1972,” according to the BBC. Cash is certainly upping the ante, shades of more to come, I suspect. And the Eurosceptics are in one sense quite right to get upset. The coalition is breaking its promise, just as I predicted it would on this blog before the general election. The promise to put every single transfer of power from Britain to the EU to a vote in a referendum was quite simply not credible, as David Cameron, his coalition government and the Tory Eurosceptics are now discovering. What is more, and must be especially galling for the Eurosxeptics in the House of Commons, the new EU bill says a minister will, in some cases, be able simply to state the transfer of power is not significant enough to merit a referendum. A minister indeed, and maybe even the Europe Minister who is not even in the Cabinet. We have already seen the first transgression from Cameron when he made clear that there will not be a referendum on the treaty changes suggested by German Chancellor Angela Merkel to establish a permanent mechanism to protect the euro. In other words, to paraphrase the Sun when it ran its pathetic campaign against European Commission President Jacques Delors – “up yours Cameron”. Margaret Thatcher, David Cameron certainly is not! Following much hot air from David Cameron he has revealed just what an empty vessel he really is. Conceding defeat the prime minister told fellow European leaders ahead of today’s summit in Brussels that he accepts the £107bn EU budget will have to increase by a minimum of 2.9%, the figure already accepted by the European Council, reports the Guardian. Cameron’s much vaunted telephone offensive which included Angela Merkel, the German chancellor, Nicolas Sarkozy, the French president, and Herman van Rompuy, the president of the European council about the budget obviously got nowhere. David Cameron is revealing that he is no Margaret Thatcher and has failed to stand his ground. The Iron Lady famously stood up to the EU and negotiated a rebate for Britain which has endured to this day. Cameron, on the other hand, has thrown in the towel with undue haste. It’s hardly surprising that the Tory Eurosceptics, who have been urging Cameron to fight for a freeze or a cut in the EU budget, are angry. They supported David Cameron because they thought he was one of them. Yes, Cameron did make sure the Tories in the European Parliament left the centre right European People’s Party to join up with a group of right-wingers whom Nick Clegg famously called a “bunch of nutters”. However, Cameron is not delivering for the Eurosceptics now and they are not holding back in putting forward their point of view. Bill Cash, Peter Lilley and a host of others were very much in evidence in the Commons Chamber yesterday. All this goes to show that when a politician does something for short term gain, such as Cameron promising anti-EU measures to get himself elected as Tory Leader, this will come back to bite him very hard when the day of reckoning comes and he cannot deliver his promises. While Margaret Thatcher did deliver hers, David Cameron is proving unable to do so. Perhaps David Cameron’s assertion that Labour MEPs voted for the 5.9% increase in the EU budget which came before the European Parliament in Strasbourg last week was part of his plan to assuage his Eurosceptic wing. Who knows? But what David Cameron said was incorrect. Labour MEPs voted against the final vote to adopt the EU budget. We were very sure that it was wrong at the present time to ask for such an increase in EU spending. 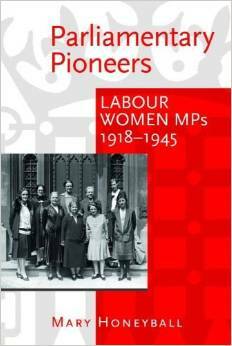 Fortunately Chris Leslie MP, one of Labour’s Treasury Spokespersons, was able to put this right in the Commons debate. I wonder why Cameron got it so wrong. He does, after all, have an army of researchers at Number 10 and in Whitehall and the EU votes are published a few hours after the votes are taken. He also has several Conservative MEPs who would have known the score. It could, perhaps be that he wished to discredit the Labour Party by putting out deliberate misinformation. If this is anywhere near the truth, Cameron and his Tory cohorts will brings politics further into disrepute and should be ashamed of themselves. The European Parliament vote is important in the EU final decision making process on the budget. As a result of various decisions over the past few years, both the European Parliament and the European Council (the EU member state governments) have equal weight in coming to an agreement on the budget. This means that although Cameron has accepted the 2.9% increase, this may not be the final outcome as negotiations between the European Parliament and the Council are currently underway to come to a compromise. Despite all the brouhaha, the EU budget is not on the formal agenda of today’s European summit but will only be discussed in the margins. If the 2.9% increase is agreed, Britain will contribute an extra £435.2m. If a higher percentage is negotiated, Cameron’s coalition government may get even more than they were bargaining for.